The 2013 Chevrolet Volt is an electric plug-in hybrid that is representing a unique and fun side of the segment. Though it is a hybrid car unlike the Toyota Prius it is getting power solely from an electric Powertrain. About 25 to 50 miles the car runs on electric current and when the battery becomes depleted the gasoline engine starts working and power the electric motor to run the car. Moreover, the car carries a decent and elegant style with lots of interior goodies to impress shoppers. The Chevy brand added certain new features to the model year of the 2013 Chevrolet Volt. That is a new “Hold” mode added that saves the electric current for the times when you are in more need. A new low emission package that permits the car to access the HOV lanes of California and New York and certain additions to the interior of the car. The four-door hatchback, 2013 Chevrolet Volt, designed to offer impressive room for four is offered in a single trim. The exterior of the car is highly admirable that features standard 17-inch alloy wheels, LED daytime running lamps, and heated side view mirrors. Furthermore, automatic headlights, a rounded nose and an overall delighting and appealing look. The interior of the car features keyless entry, cruise control, tilt, and telescoping steering wheel, automatic climate control, OnStar Emergency communication, and height adjustable driver seat. Furthermore, it also has a MyLink system that features Bluetooth phone and audio connectivity, voice control audio functions, and Smartphone integration. It also gets a six-speaker audio system with a touch interface, satellite radio, iPod/USB interface, and CD player. Four optional packages are also available for the 2013 Chevrolet Volt, the Comfort Package, the Premium Trim Package, Enhanced Safety Package 1 and Enhanced Safety Package 2. That adds lots of interior and exterior features to the car for the comfort and convenience of the driver. 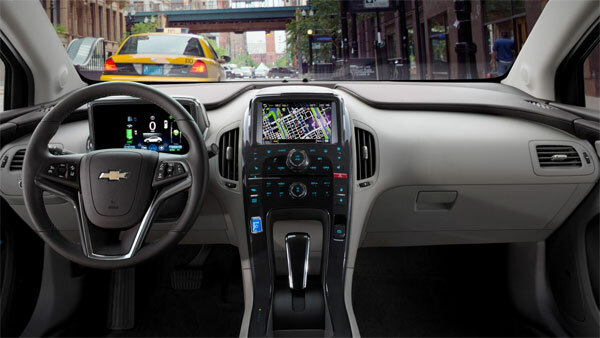 Front-seat side-impact airbags, front knee and full-length side curtain airbags, Stability control, traction control, and antilock disc brakes are standard on the Chevy’s Volt 2013. Also standard is OnStar that feature remote door unlocking, automatic crash notification, and stolen vehicle assistance. Similarly, on-demand roadside assistance, and turn-by-turn navigation. 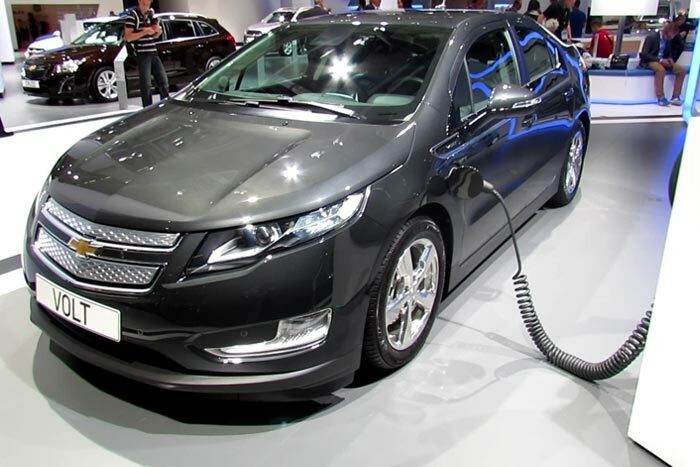 The 2013 Volt is a front wheel drive plug-in hybrid car that takes power from an electric motor generating 149 horsepower. And 273 lb-ft of torque that is paired with 16 kWh lithium-ion battery pack and when the battery charge is depleted by 70 percent. Therefore, the electric motor then gets power from a 1.4 liter 4-cylinder internal-combustion engine. Normal, Sport, Hold and Mountain modes are offered to increase the efficiency of the car. The acceleration from 0-60 mph is 9 seconds and the car getting charged from any 120 volts or 240-volt outlet. The car is on sale now at a base price of $39,145. 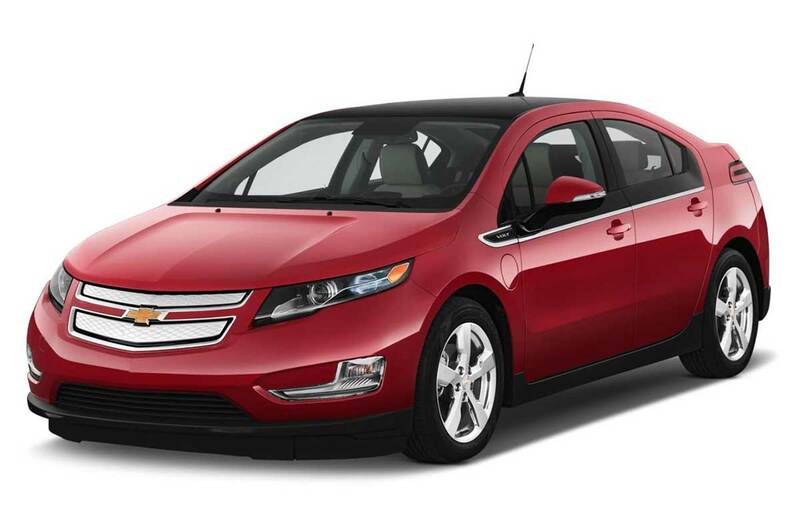 The 2013 Chevrolet Volt is not a conventional electric car. But actually, in many ways, it is far better than a simple electric car. Perfect for four with lots of twisting features and design language.